“Yours ever (pain in the mimsy-tushkin)” is right. It reads like something you’d compose to explain to your teacher why you hadn’t prepared your homework. It is a begging letter. Three lions in the dirt. 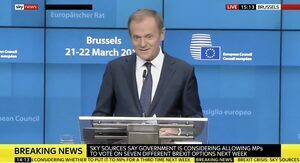 This is beyond embarrassing, it’s being reported from Brussels that the EU will refuse any short term extension beyond 23 May when the elections for the European Parliament are scheduled. And that ties with what Juncker said a week ago. Surely to God, the UK would have checked this out before writing that letter seeking an extension to 30 June. It’s odd that she would insist on the June deadline when already knowing the Juncker was insisting on 23rd. She’s beyond inept but she’s hardly on a solo run. She’s on a major solo run for quite a while now. 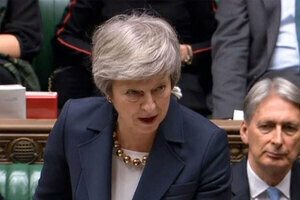 I’d say she’s quite pleased to go back to the HoC and, pointing out that they voted not to leave without a deal, argue the EU said it’s this or nothing so they need to accept it. 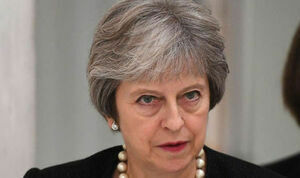 An extension to May 23rd might not have put her in that position. 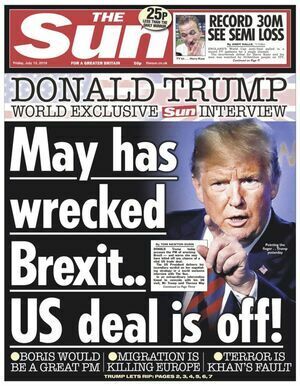 We’re a long way from the “Give us a deal or be crushed” days of Theresa May. So what supplementary documents did she and Juncker agree in Strasbourg? Documents, not ‘document’. Has Varadkar seen those? And does he agree with them? 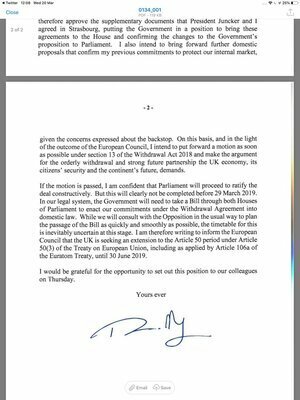 Here’s the correspondence between Juncker and Tusk on the issue. It looks like Leo is in the loop anyway. How can the agreement be different in substance but not wording?! 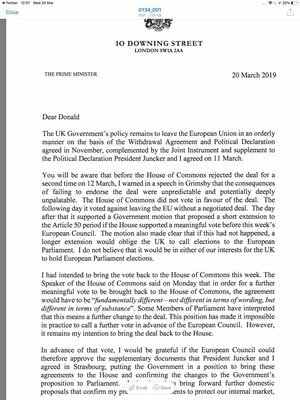 As said above, this is an absolute begging letter akin to weaselling out of punishment in school. Please can we have our beloved tax exclusion for the City of London and it’s blood money. This crew genuinely believe that the world spins around them. Thier arrogance is only matched by thier inability to actually agree anything among themselves. to me that says you can have that short extension to tidy up your desk after getting your agreement thru or you can fupp off & sort the mess out by yourself. I would love to see EU elections in the UK, Farage is banking on it and despite his nationalistic bluster, he is a shrewd operator who knows how to read a situation. And, if it results in a bunch of EU sceptics being voted in then that is where they should be because not everything remain say is right and not everything leave say is wrong.